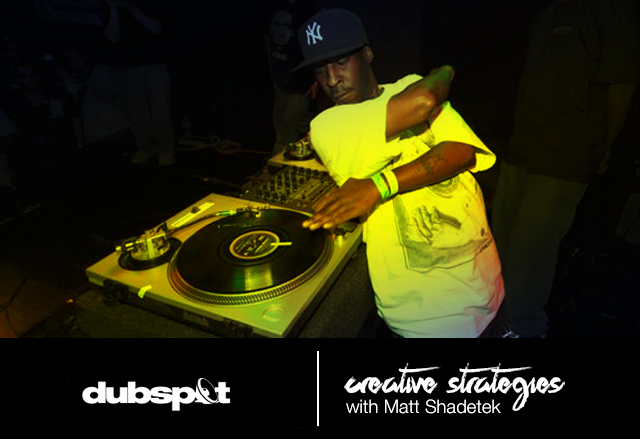 In this creative strategies article, Logic expert and Dutty Artz label owner Matt Shadetek explains that failing is a natural part of finding your path success. From the time we are kids, people scold us for doing things incorrectly. We are made to feel bad when we fail. Very quickly we learn that failing is bad, and that we should try to anticipate and avoid it. We don’t want to feel certain emotions like shame, frustration, or inadequacy. An interesting thing about the way memory works is that the painful memories tend to really stick in our minds. Traumatic memories can be particularly hard to move on from. For some reason the happy memories are easier to forget. This is probably an evolutionary survival trait– remembering the things that threaten to hurt or kill you allows you to live longer, reproduce and continue the species. One of my struggles as an educator is to get my students to tolerate and work with failure. Although this may not be a happy or popular idea for many at the beginning of the process, it’s valuable to fail often and painfully. When you fail painfully it leaves a mark. We remember those failures and this allows us to identify that choice and make a different one the next time around. Often, the more painful the experience was, the more impactful the lesson. Even young children touch the hot stove only once. When people seek out a teacher or mentor, they often misunderstand the relationship. They say, “Tell me how to do the right thing, so I can avoid the pain of failing.” They hope the teacher will give them a map that they can then follow perfectly and avoid pain. Some teachers buy into this idea. They say: “Follow the steps. Execute the painting. Use these colors.” The result is a roomful of identical paintings. The student who followed the steps perfectly gets an A+. This is a painless process. If the goal is to do anything but be a human Xerox machine, this process is useless. Part of the role of a good teacher is to help students make the pain of failure productive; to help them draw useful conclusions from their frustrating dead ends, see why their decisions didn’t work and help them to start again. Its also the teacher’s responsibility to tell the students that when the process is painful they’re doing it right, and to keep going, and try again. It’s critical to be able to draw useful lessons from our failures and use that information to improve our next attempt. Failure can be a doorway, a stepping stone. Failing means that you are operating at the limits of your ability and that there’s a chance to learn something. If you can identify your shortcomings, you can use your failure to get better. Unfortunately the opposite often happens. People fail and think that this reflects a fundamental and unchanging fact of who they are. They think that the lesson is that they are not talented, smart, or capable of improving. This leads them to give up. This is the worst case scenario. Another negative side effect of the fear of failure is playing it safe. People don’t want to sink, so they stay in the shallow end. They follow the check-list. They ask for step by step instructions. They do things in which they know they can succeed, because they don’t want to waste time on an ambitious failure. In fact the reality is the opposite. Playing small, doing things you know you can do, is the waste of time. When you stretch and it hurts, you have the chance to learn. The only thing at risk is your ego and your self perception as a competent person. If you can understand that there is no shame in failing at something you’re not familiar with and that its an integral part of the learning process, hopefully you can learn to not take it personally. One of the things young kids are great at is hurting themselves, learning from it and moving on. We can learn a tremendous amount about learning from watching little kids. Young kids are resilient. They experience tons of failure, much of it physically painful. Watch a child learning to walk. Toddlers haven’t been taught the shame of failure yet. They don’t know that they should be embarrassed when they wipe out. They pull up, balance, wobble, and fall right on their face. Then they get up and try again. As learners, we should strive to do the same.